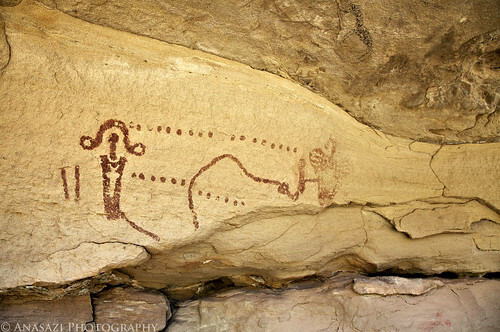 Here’s another new pictograph panel I managed to find in the Book Cliffs on Sunday. I had searched for this one previously, but came up empty handed on that trip. I’m not sure what style this panel is, but if I had to guess, I would say it looks Fremont. It also appears that this panel might be depicting a ‘birthing scene’ but that’s just my initial interpretation. Whatever it is, it’s a pretty nice panel and I’m glad I was able to find it this time.